This cleverly designed bag is suspended behind the users legs and under the seat canvas, the weight of the user together with the hook and loop fasteners ensure its security. It incorporates, keys, pen and letter storage. 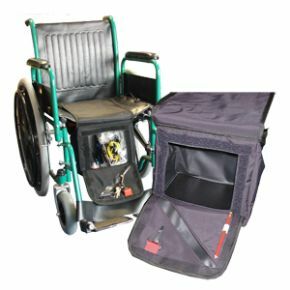 Fits both Rigid and Folding wheelchairs. Width 11" - Height 8" - Depth 7"
Delivered the day after I ordered it on-line - great service! Works really well. 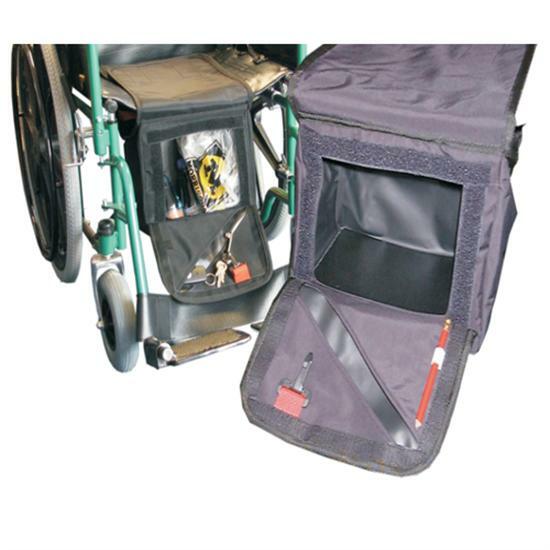 Easy to fit and remove, suitable for a folding wheelchair (which not all underseat bags are) and easy to access. Thank you.